The Harley-Davidson Street Rod is a sportier take on Harley's best-selling Street 750 entry-level cruiser. It has been launched in India at Rs 5.86 lakh, ex-showroom which is Rs 95,000 more than the Street 750. The Street Rod gets styling inspired by cafe racers and Harley's dirt trackers. The new design features a new headlamp cowl, drag-style handlebar with bar-end mirrors, new tail section, LED tail lamps and LED side indicators. The engine and chassis are carried over from the Street 750 though both are reworked for sportiness. The revised motor makes 11 percent more power and 5 percent more torque than the Street 750. The chassis of the Harley-Davidson cruiser gets a sharper rake and upgraded suspension with added travel. We expect the Street Rod to be locally manufactured like the Street 750. Harley Davidson Street Rod prices start at Rs. 6.53 lakh (Ex-Showroom). 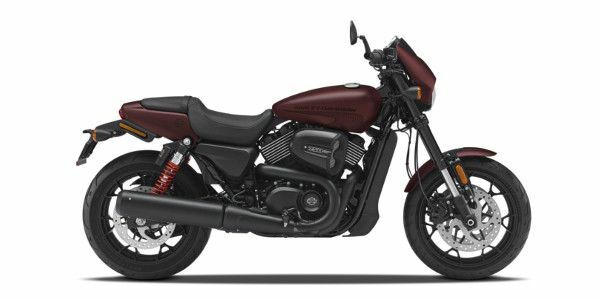 Harley Davidson Street Rod is available in 1 variants and 5 colours. Learning to master the skill of going sideways in a corner is more than just throttling and going round in circles. The all-new Street Rod is the Street 750’s badass sibling. Or is it?